Justice A.M. Shaffique of the Kerala High Court on Friday upheld the validity of a State Government decision reducing the qualifying percentage for service quota in the All India Post-graduate Medical Entrance Examination 2014 by in-service doctors for admission to postgraduate/diploma medical courses. The writ petitions were filed by doctors in Governmental services under various departments. They challenged the Clause 4.4.1 of the P.G. Medical Entrance Prospectus for admission to Medical Post Graduate Degree/ Diploma Course, 2014 issued by the Director of Medical Education to the extent it makes provision for reducing the qualifying criteria for service quota candidates in the All India post Graduate Medical Entrance Examination 2014. The qualifying criterion for service quota candidates was reduced to 45%, 35% and 40% for General, SC/ST/SEBC and PD candidates respectively as compared to 50% for general category candidates outside the service quota. The National Board for Examinations was entrusted by the Central Government to conduct admission to Post Graduate Medical Courses. A Government Order was issued in November, 2013, in this behalf. The commissioner of Entrance Examinations also issued notification on 05/11/2013 in that regard. The petitioners, through their counsel Sri. Kurian George Kannanthanam had contended that the State Government had no right to issue the prospectus, reducing the qualifying marks, when the NBE bulletin clearly prescribed the qualifying marks as 50%. Also that the power to frame law with reference to admission to post graduate course in medical education is with the Central Government in terms of Entry 66 of List I, and that when the field is occupied by the Central Legislation, it is not open for the state Government to have issued a prospectus, as held by the Division Bench of the court in Mohammed Riaz v. state of Kerala. It is well settled that both the Union as well as the States have the power to legislate on education including medical education, subject to Entry 66 of List l, which deals with laying down standards in institutions for higher education or research. However, he Court said that as per the notification, a candidate concerned should acquire 50% marks in the competitive examination for a pass and qualification for allotment. None has a case that the notification has the force of law and is a legislation in terms of Entry 66 of List 1 of the Constitution of India. The Government pleader, Sri.Roshen D.Alexander also argued that the state has the legislative competence to enact a special Statute for the service candidates under Entry 25 of List 3, since the special statute has received the assent of the President. The State Government contended that the Government has powers under the Service Quota Act, 2008 to provide details for eligibility to admission, duration of course, allotment, fee to be paid, reservation of seats, etc. in the prospectus before the commencement of admission. It was asserted that the relaxation was issued taking into account the acute dearth of qualified service quota candidates for admission to Post Graduate Medical Service. This was termed by the petitioners as arbitrary and unreasonable in so far as there is no dearth of specialists in the Health Service Department. It was submitted by the respondents that the decision was taken after discussions at various level of consideration, taking into account the overall situation. The Court accepted the respondent’s contention and observed that when it is open for the Government under a particular Statute to deviate from the fixed formula and prescribe eligibility criteria different from what has been followed earlier, it only reflects the policy of the Government, which cannot be termed as unreasonable in any form. The Court was of the view that it was well within the power of the Government to prescribe an eligibility criteria for service candidates under Section 5(3) of Act by prescribing the same in the prospectus. The Court hence didn’t consider it to be arbitrary or malafide in any manner. 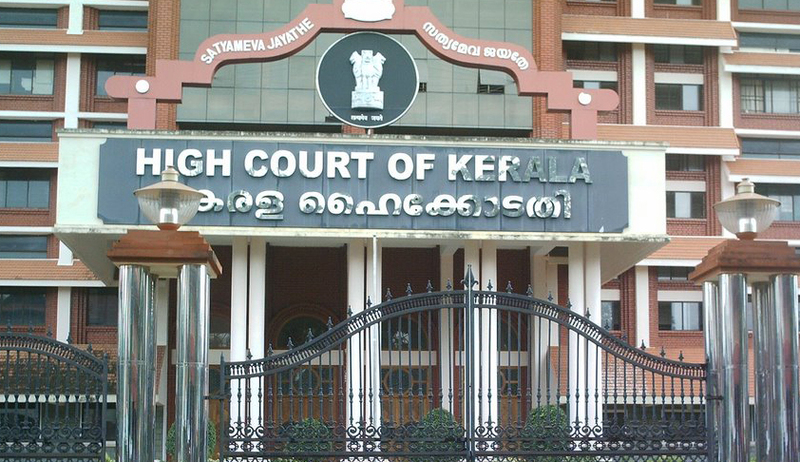 Legal News India, Kerala High Court News, Kerala High Court Judgments, Indian Legal News.